These vintage wedding souvenirs are perfect to finalise your wedding gifts for your guests. 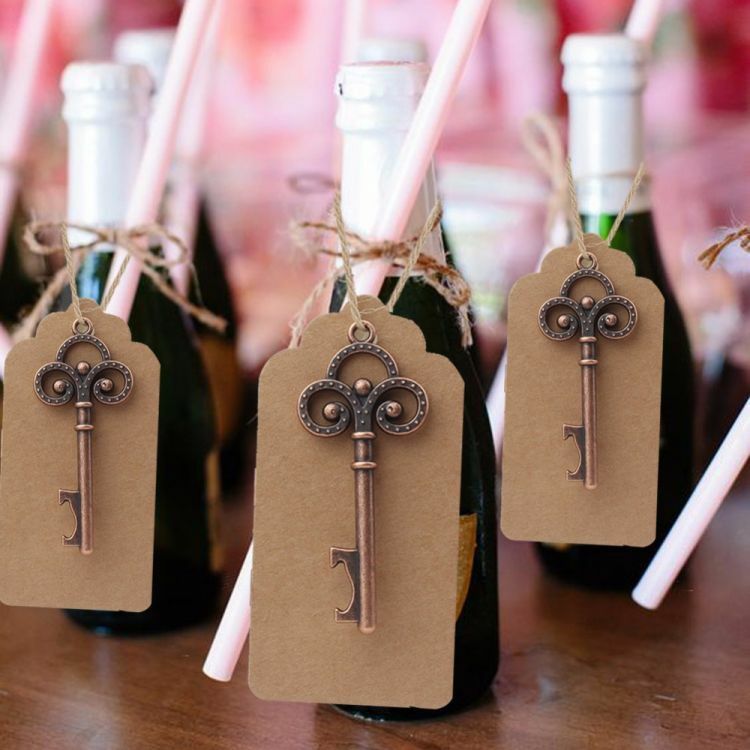 Hang these around your wedding favors for a cool, antique look, plus – the key doubles as a bottle opener… Very handy! This price includes 50 pieces, which works out at under 80 cents each! Key Size: 6.8cm / 2.78"